My experience in counseling, social work, special education, management, and technology have led me to wonder at the boundaries where humans meet technology. I am especially curious about how individuals and organizations choose technology and incorporate it into their lives. People ask me how a social worker ended up as the Director of Technology. First, I have always been curious about how things work. As schools became connected to the Internet in the 90s, I was fascinated by the potential it held for learning. I could imagine benefits for non-traditional and special education students, as well as self guided learning. As I became engaged with teachers and administrators with similar hopes, I realized the stress and anguish technology can have for adults when it adoption is out of their control. The nexus of humans and networked devices can create tension and confusion. Gadgets and gizmos can exacerbate the tension and confusion that already exists between individuals and groups. There is need for people to resolve this tension and to make adoption appropriate to the person and the task. This is the perfect job for a therapist / social worker / manager turned technologist; helping people find what is practical, helpful, useful among the swarm of new technology. Psychology, anthropology and neurobiology have recognized the path and significance of the tool evolution within human evolution. Humans benefit from the inventions of our ancestors. We would not have survived as a species without a facility for developing tools, and passing them on through the tool of language and other symbolic means. Language and it’s heir, civilization, has allowed us to leverage the benefits of the collective. There are many people bringing insight into the history and current trends of tool making. I constantly discover new research and theories from diverse fields of study. This acceleration and cross-field pollination of information can be credited to one of the most game-changing tools in recent history; the Internet. Kevin Kelly, a connoisseur of tools has been an important inspiration to my thinking. He has an appreciation for the evolution of our tool making, has written a book on the subject (“What Technology Wants“) and provides a regular review of tools on his website. I won’t pretend to recreate his encyclopedic efforts, but this website will riff off his insights. In another field, Ginger Campbell, hosts the Brain Science Podcast. Since discovering her website 5 years ago, I have gained a renewed interest in human psychology and development. I revel in the insights of her guests. These scientists and philosophers bring neuroscience and consciousness (brain and mind) to the forefront. They have inspired me to consider the parallel mystery of human and tool development. My interests and avocations; tinkering with tools, contemplating human biology and human ingenuity, have been accompanied by a regular practice of meditation. For 30 years I have practiced meditation in the Tibetan tradition. While my personal practice is Buddhist, many religious and spiritual traditions provide guidance for meditation, aimed at cultivating peace and improving our conduct. For me, meditation is the ultimate tool because it sharpens my entire being. It helps me to make better choices, develop kindness and patience and to be more effective in whatever I choose. In this blog I will provide guidance and (hopefully) some insight in the use and appreciation of a variety of tools. While most of these are digital tools, the common thread is the human condition – the “user”. Nurturing ourselves, developing awareness of our behavior is the most essential aspect of effective tool use. We are constantly remaking the maker. 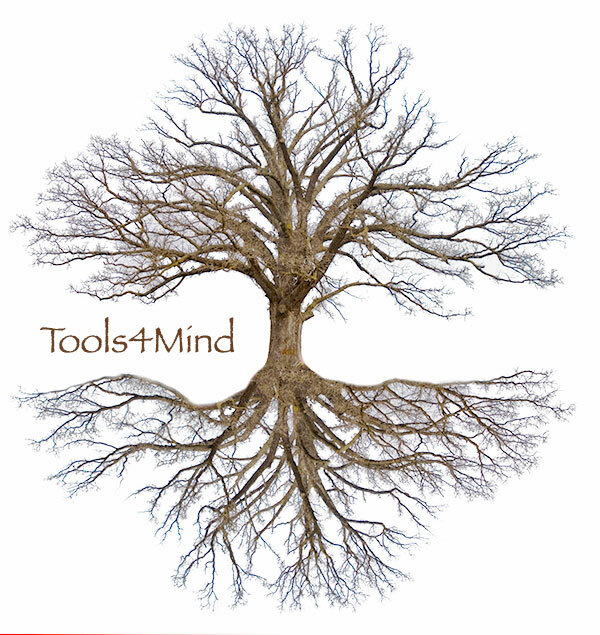 Mind tools – These include methods of organizing and supporting our thinking, extending our memory (mnemonics), and automating particular tasks. It includes tools that improve the health of our brain-body (like prayer, exercise and meditation), systems of mathematics, and conventions of thought. I am fascinated by the different methods people use for managing their minds. I will document some of them in this blog. Software – I use a computer quite a bit. Using computers leads me to use and explore various programs. I keep my eyes open for programs that help me to organize and communicate through the spoken and written word, video, still images. I am fascinated by mind-mapping software; software that allows you to link and hyperlink ideas. The advances in cloud computing and the growth of free web applications give us unlimited and evolving tools for collaboration and sharing. Technology refers to the study of any “art, skill, craft”. [1 Despite the fact that technique (applied technology) has an ancient origins, we often limit our appreciation to modern applications. In fact technology (tools) take many forms. It includes physical objects (abacus ca 2500 BC), and mental constructs (binary number system c. 300 BC). Our inventions, our tools, are so embedded in our consciousness and work-flow that we overlook the facility with which we organize, automate and solve problems.